I know I talk a lot about my love for various types of sweets, and Nutella is definitely no exception. On our first trip to Europe, my husband and I tried Nutella crepes in Paris, Nutella Gelato in Florence and again in Rome… I just couldn’t get enough! There is something irresistible about that creamy hazelnut-chocolate flavor, it’s just perfect for any dessert. 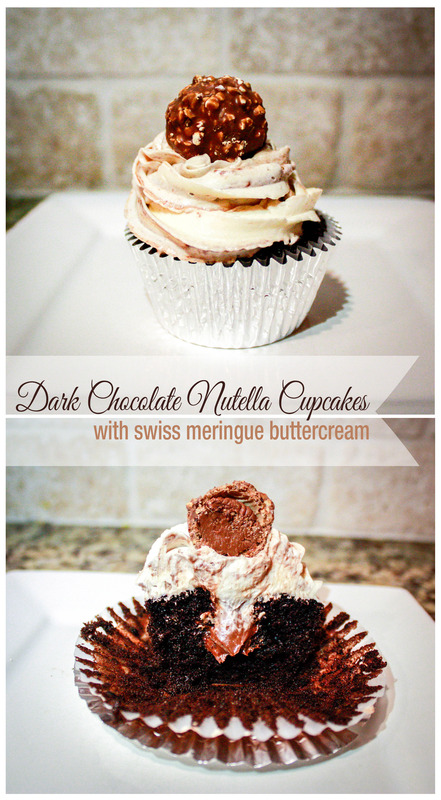 Here’s one of my favorite ways to enjoy Nutella, in a cupcake! I hope you enjoy it as much as I do!